There are currently 178 people online. 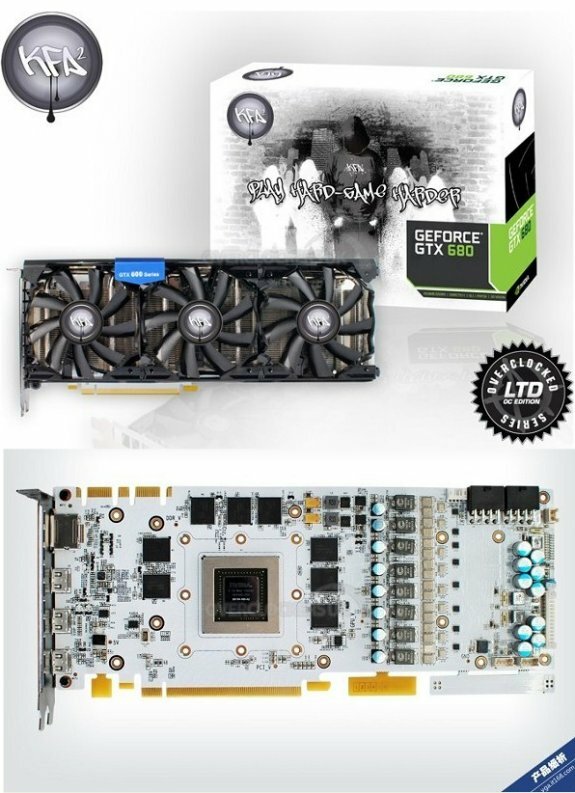 Pictures and details about KFA2's upcoming GeForce GTX 680 Hall of Fame Edition have arrived. TPU noticed the card is now listed at British webshop Overclockers UK for £529.99 (incl. VAT), which is around $854 at the current currency exchange rate. The card features a white non-reference PCB, a 1202MHz base clock, 1267MHz boost, and 2GB GDDR5 memory clocked at 6008MHz. The KFA2 GTX 680 Hall of Fame is expected to ship on May 11. The PCB implements bleeding-edge voltage regulation circuitry, that includes CPL-made single-phase chokes, International Rectifier DirectFET, and tantalum capacitors - stuff that's fit for avionics. The VRM is make up of an 8+2+2 phase circuit. The card draws power from two 8-pin PCIe power connectors. A Galaxy GX31 custom controller governs the VRM, providing software voltage control, voltage monitoring and power draw monitoring over SMBUS. The cooling solution is Galaxy's proven triple-fan cooler, which has been used on older Galaxy/KFA2 graphics cards. The cooler utilizes a long aluminum fin array, to which heat is conveyed by several copper heat pipes. It is then ventilated by three 90 mm LED-lit fans. Display outputs include one standard-sized DisplayPort, and three mini-DisplayPort connectors.